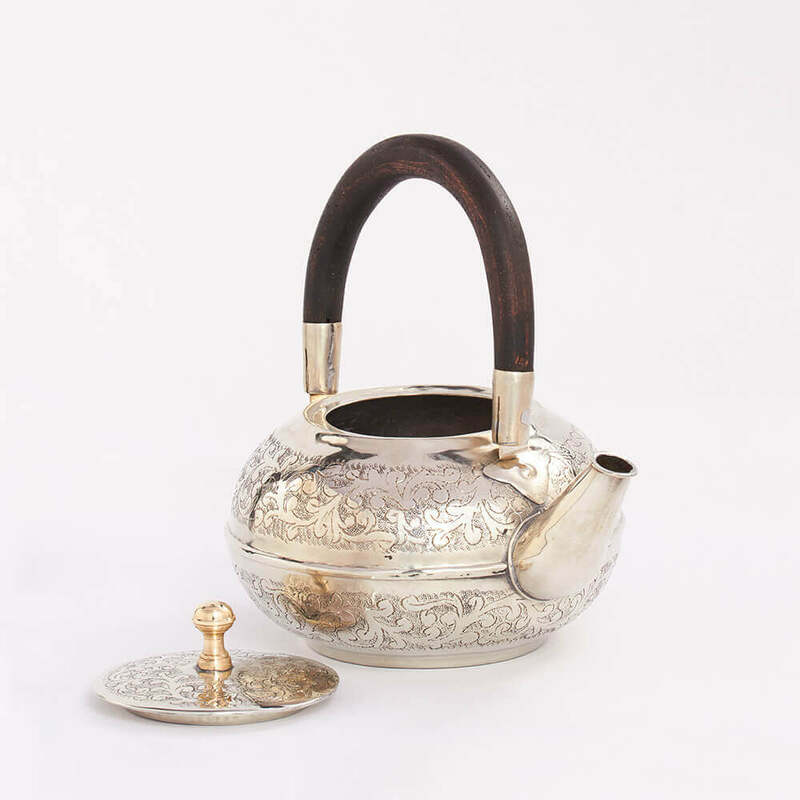 Channel the spirit of the Souk with this traditional embossed metal Moroccan teapot, complementing both modern and traditional decor with its unique form, silver finish and contrasting wooden handle. 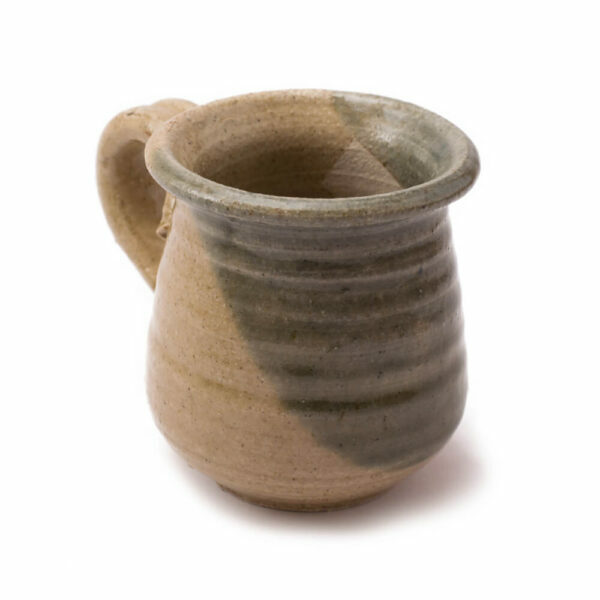 Whether it is entertaining family and friends or just having a quiet brew with a book, this teapot will effortlessly infuse your life with a taste of Morocco, all whilst keeping your tea nice and warm. 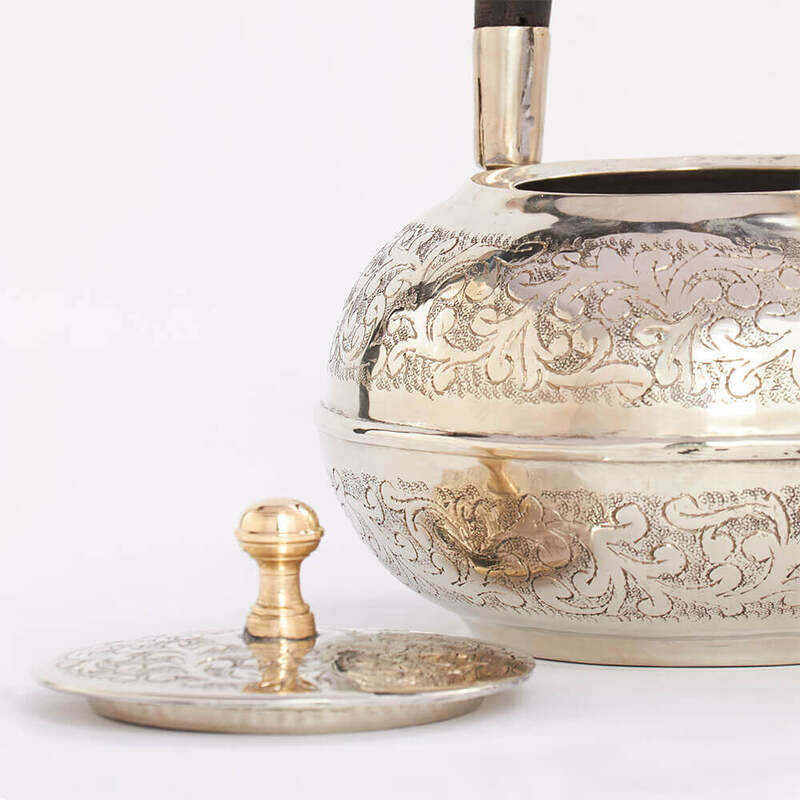 Made by highly skilled artisans in the historic city of Marrakesh, this Moroccan teapot embodies traditional design and culture. Whether it is overlooking the clamour of the souk in Marrakesh or gazing over the sparse, red landscapes of the Atlas Mountains, there is always time for tea in Morocco. Most Moroccans will start drinking tea with their breakfast, then after each meal and many times in between; it is the most popular order in cafes and coffeeshops, and the main way to take a break from the day. Moroccan tea is usually served in gorgeous metal teapots and drunk from intricately decorated glasses, often alongside traditional sweets.